History of Ardanuc: In prehistoric times Urartians, Saka Turks, and Iskit Turks in the 8th century Re., and after 75 A.D., the Caspians, Barsellians and Bagratians, which were ancient branches of Oğuz tribe, settled in Ardanuç. In the time of Süleyman the Magnificent, Ardanuç was conquered in 1551 A.D. by Iskender Pasha. He established the Ardanuç Flag of Ottomans. Ardanuç was invaded by Englishmen and Georgians after the Mondros Armistice but taken back on March 7, 1921 by Gumru Treaty, and took its position within today’s borders. 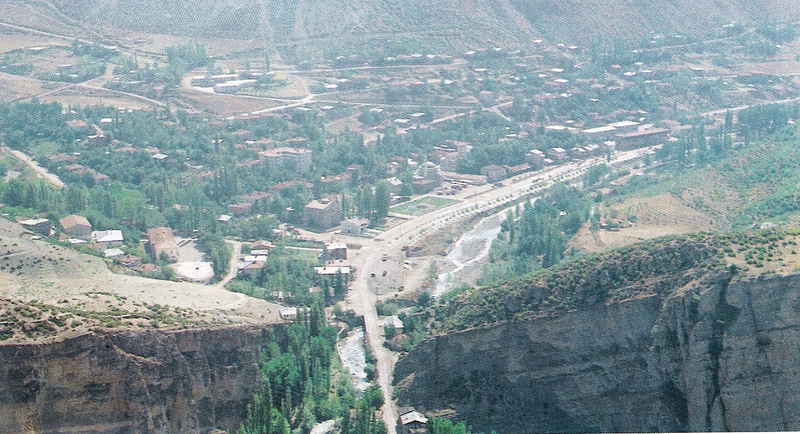 Ardanuç, which has been connected politically to Artvin until1945, became a sub prefecture in the same year. Geographical Structure: Ardanuç having its area of 969 km square is a neighbor of Savsat in north, Yusufeli and Onur of Erzurum in south, Ardahan in east and Artvin Merkez Subprefecture in west. The altitude of Ardanuç having a broken ground of structure from geography standpoint is about 500 m, and it has a typical continental climate. Education and Cultural Structure: In the sub prefectural area, 2 kindergartens, 19 primary schools with or without board, and 1 high school with multi program are available for children’s education. Ardanuc is one of sub prefectures in which village and plateau festivals are extensively organized. The most interesting ones are: The Lovers’ Festival, Karakucak Wrestling Festival, Bereket village Nomadie Festival and Kafkasör Bull Fights of which are organized under the auspices of municipalities and sub prefecture governorships. Health Care Services: Health care services are introduced in 1 rural health center with W-bed capacity, and 27 rural health sub-centers. Economy and Tourism: The sub prefecture economy mainly depends on agriculture. The principle income sources of people are the agricultural production, husbandry and seasonal forestry workmanship. There is one timber factory, which belongs to the General Directorate of Forestry. In addition, small-scale workshops such as blacksmiths, carpenters and auto-repairmen are available. The most important income source of sub prefecture is the husbandry. Interesting places to visit in the sub prefecture are the Rabat Chapel in Bulanık village, the Gevhernik Church in Adakale village, the Ferhatlı Castle in Ferhatlı village, and the canyon Cehennem Deresi (Creek of Hell) on the road of Artvin-Ardanuç.